I had NO idea Newsday was going to do this! What a honor and a TREAT! 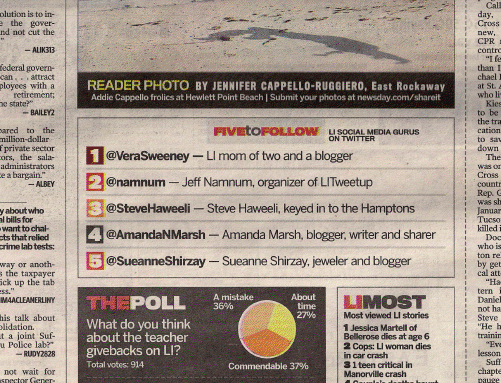 Today I was named number one on Newsday’s ‘Five to Follow’. The newspaper hand selected who they thought were ‘Long Island’s Social Media Gurus on Twitter’ and I was lucky enough to be part of the list!! Not “one of” – Number 1!!! !